I finished "The Tube" tank last night. I would recommend this pattern to anyone who wants a cute and easy sewing project. 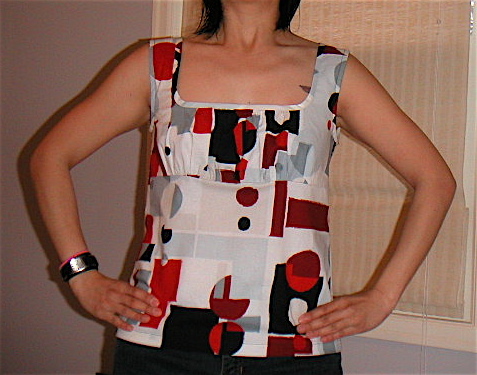 I made this pattern in a size small (8-10) and it fits fine, though I think I could have added some side seam splits to allow for greater ease in pulling the tank on or off. I may have to make one of the more strappy versions.